Govt. to boost Immigration to Western Australia! 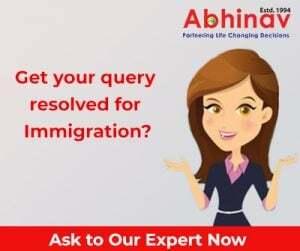 To make it much easier and hassle-free for the Western Australia employers to hire semi-skilled personnel’s from abroad and to help them move to their Permanent Residency (PR), the government of Australia is expected to make effective adjustments in the immigration laws of the country. At present, Western Australia requires immigrants, who are skilled, to cover all types of gaps — more so for the export of crimps. In addition, the government of the country would make attempts to relax a deficiency of skilled personnel’s which threatened to add to inflation woes, affect operations of iron ore, and also infrastructure, besides resource investments. In this connection, Chris Bowen, Immigration Minister, Australia, as reported in the media, stated that the fact remained that there would not be sufficient workers from Australia to do the job at hand. He added that he would boost a regional immigration scheme suitably tailored to increase the pace of the recruitment of semi-skilled overseas workers, to cover the region of Perth, West Australian. He further said that the recruitment of semi-skilled foreign workers would become comparatively less choked. It needs to be mentioned that the nation faced shortage of skilled workers for the first time somewhere during the year 1788. Despite a tremendous surge in population, besides immigration, the issue of skill shortage could not be addressed the way it was expected to be. Consequently, Mr. Bowen introduced the famous program in Permanent Residency and Migration which is the largest of such programs in the recorded history of the country. This was done to meet this acute shortage of skilled workers. i am a plumber here in india and would like to migrate to australia and i have done my training through modular emplyobale skills given by government of india.